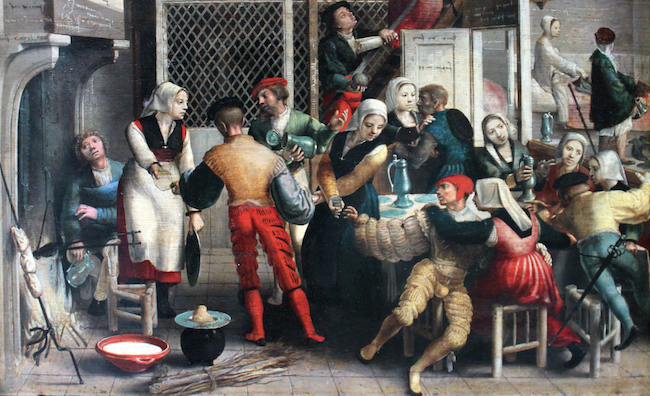 Many canonists urged prostitutes to reform, either through marriage or by becoming nuns. In fact, there were many monasteries explicitly created for the prostitutes who wanted to leave the profession. 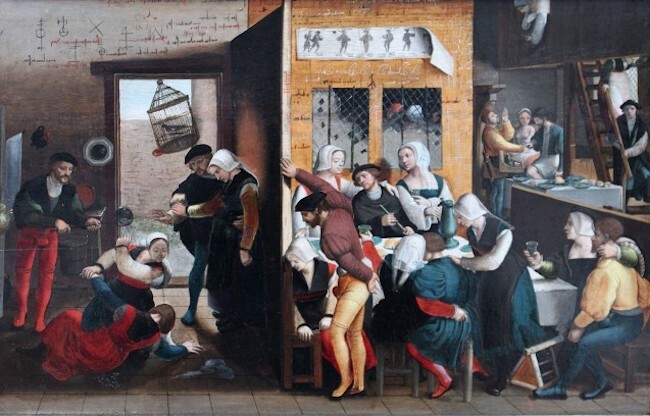 Prostitution in the Middle Ages was primarily an urban institution. Especially in Italy, efforts were made by municipal governments to expel prostitutes from cities, but in vain. The demand was simply too great, since not only single men sought their services, but also married men and many members of the clergy. Many cities tried to solve the problem by banishing prostitutes to specific areas, which eventually became marginal sectors associated with the poor and undesirable. Another virtually universal restriction suffered by prostitutes was the clothing they were allowed to wear. In order to put them on the margins of the ‘decent woman’ and avoid confusion, the Church required them to adopt some distinctive clothing, which the government of each city selected. For example, in Milan, the garment that distinguished them was a black cloak, while in Florence they wore gloves and bells on their hats. Many cities decided to get rid of the situation and created laws that regulated brothels, charging a percentage of their income.